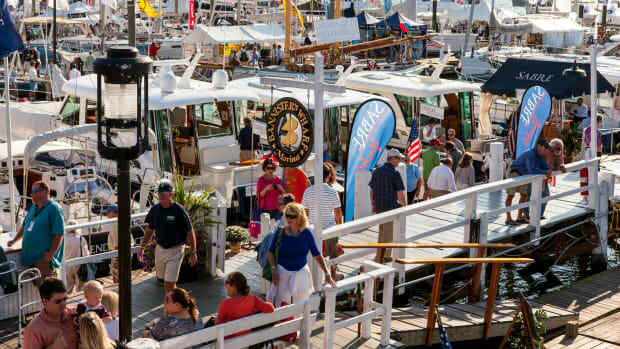 The 44th annual Newport International Boat Show, the opening of the fall show season and an early bellwether of the state of the industry, opened Thursday with a strong crowd and a consensus of optimism. 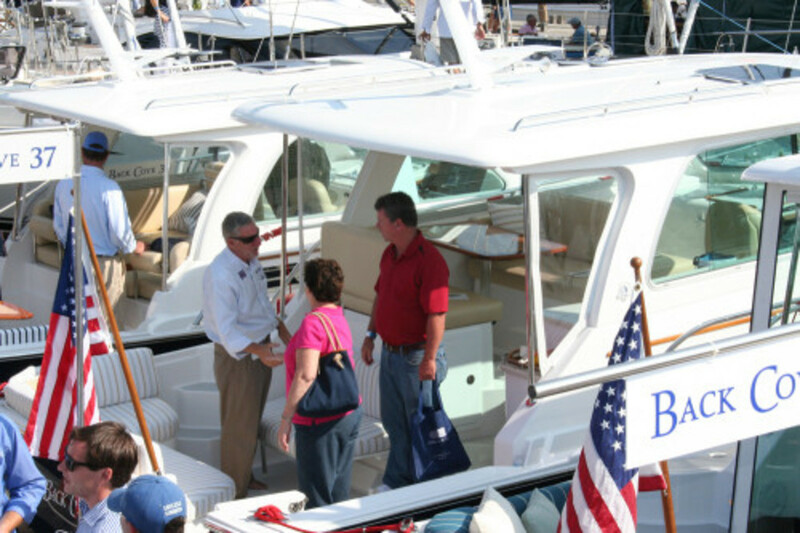 “We sold a 32 Outrage today, which was nice,” Russo Marineowner Larry Russo said of a Boston Whaler buyer he’d worked with for about three weeks. 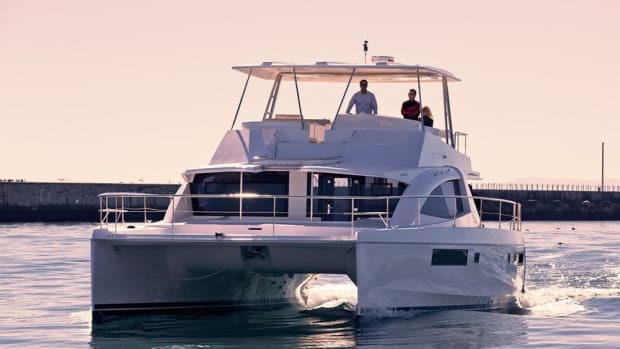 The Massachusetts dealer has six Whalers and two Greenline hybrid diesel power catamarans, including the U.S. debut of the Greenline 48 Hybrid. 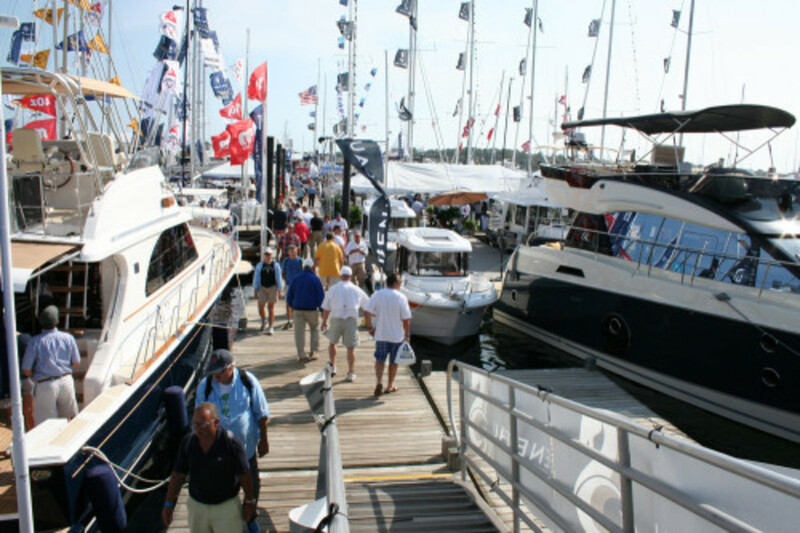 The Rhode Island show opened with sunshine in the morning that gave way to a strong and steady 15- to 20-knot south-southwest wind and cloud cover. The Newport show is known to draw well, even in foul weather. The Hinckley Company had hoped to debut its new T43 at Newport, but logistics prevented it. Hull No. 1 is in the Chesapeake and will debut on the East Coast at the United States Powerboat Show in Annapolis next month. Hull No. 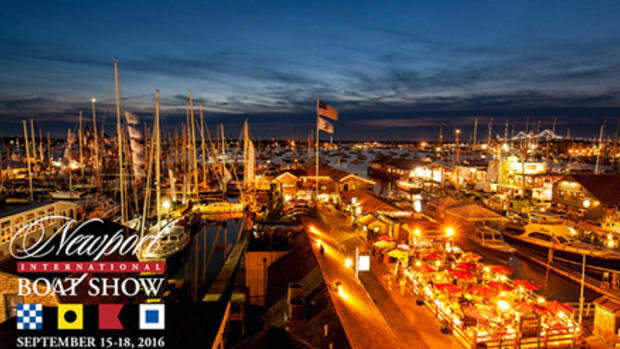 2 is on the West Coast and will debut next week at the Lido Boat Show in Newport Beach, Calif. Discussions on the dock centered on whether the economy had finally turned the corner and the degree to which pent-up consumer demand exists. 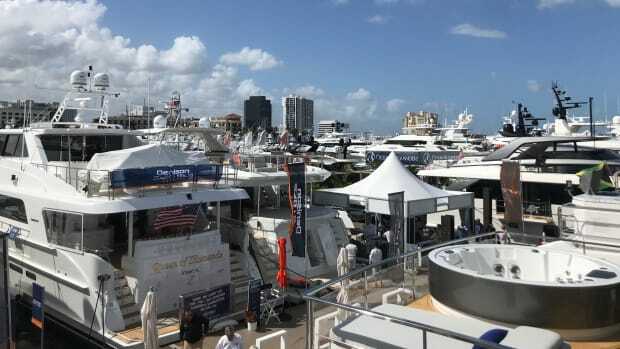 Carl Skarne owns Connecticut-based Skarne Marine, the national importer and East Coast dealer for Sargo, a Finnish-built, all-weather powerboat line rebranded from the Minor line. He was exhibiting a Sargo 28 with Sargo CEO Thomas Sarin. “After a couple of quiet years, this is the best Thursday I’ve seen in a while,” Skarne said. Potential buyers from as far away as Ohio and Texas had already visited “to specifically see us, which is pretty cool,” Skarne said. He stressed that he is actively looking to add dealers in the Northeast and the Great Lakes region. 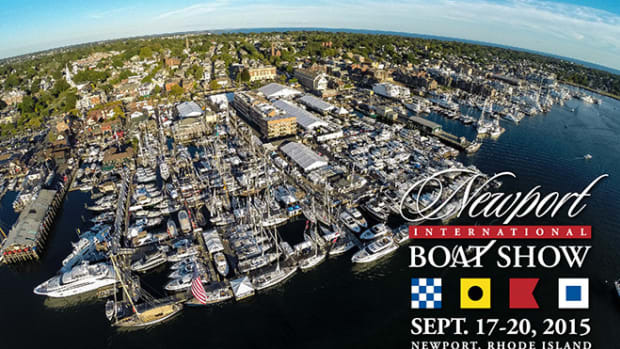 Among accessories, Connecticut-based full-service marine electronics dealer L&L Electronics is exhibiting at the Newport show for the first time. 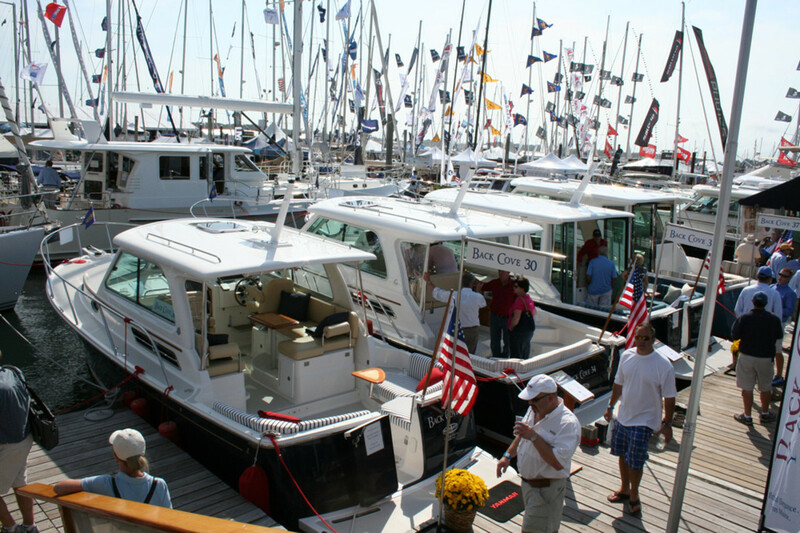 “We meet a lot of our customers at shows,” co-owner Robert Laska said. 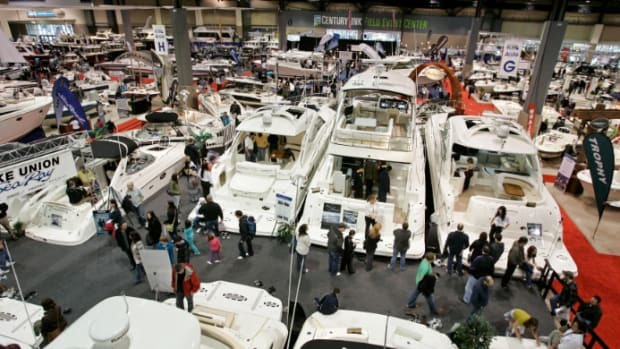 “We see the economy clearly taking a turn because we’re seeing much more new boat work than last year,” he added, quickly ticking off six custom installation jobs on six new boats ranging from 46 to 55 feet so far this year. “We just sold an electric outboard,” Defender Industries marketing director Ken Moore said barely 30 minutes after the gate opened at 10 a.m. Moore said the primarily online retailer has tripled its sales volume during the past 10 years. The show continued through Sunday; closing in the evening.